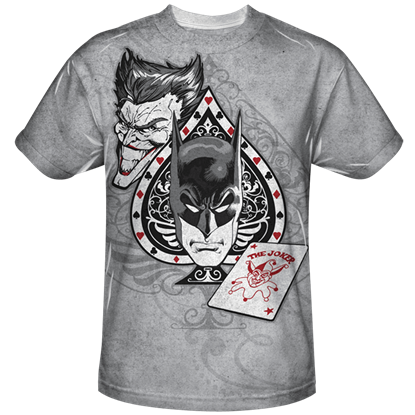 This trendy top makes it easy to step into the role of Batmans archenemy, the Joker. 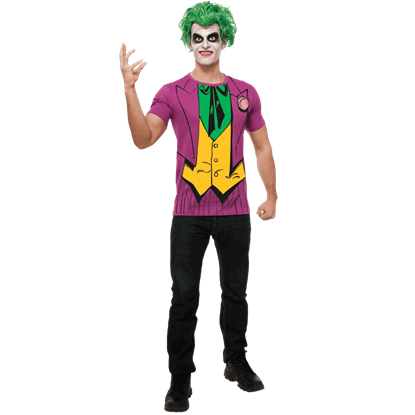 The Adult Joker Costume Corset matches well with a variety of looks and is a suitable piece for creating mayhem at an upcoming Halloween event. 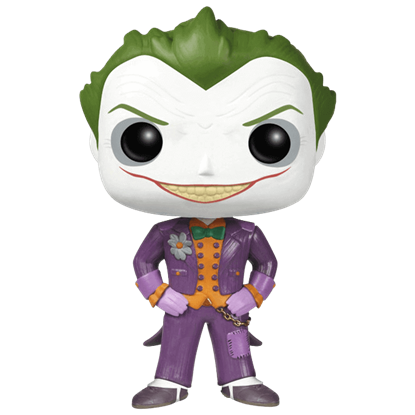 Fulfill your role as the Clown Prince of Crime with a gender bending twist this year. 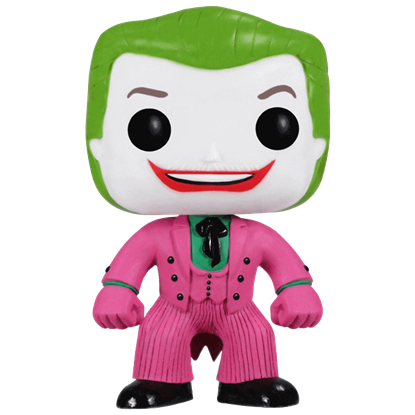 The Adult Joker Sequin Skirt offers versatility in completing your character, matching with a variety of stylish tops and DC Comics accessories. 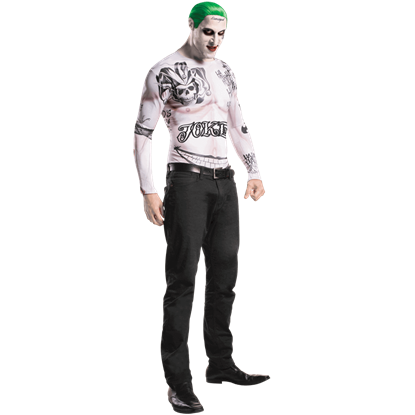 In Suicide Squad, the Joker is seen sporting a heavily tattooed look and bright green hair. 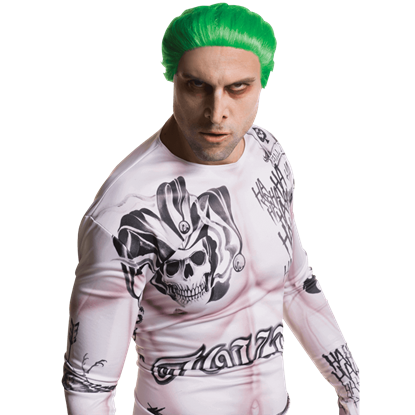 Get his edgy new appearance with the Adult Suicide Squad Joker Costume Kit, which includes a long sleeve shirt, wig, and costume makeup. 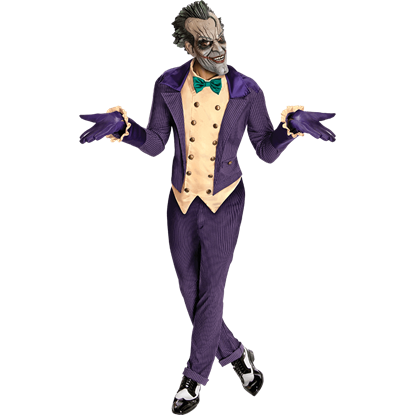 The Joker can make another reappearance this Halloween with the help of the Arkham City Joker Costume. 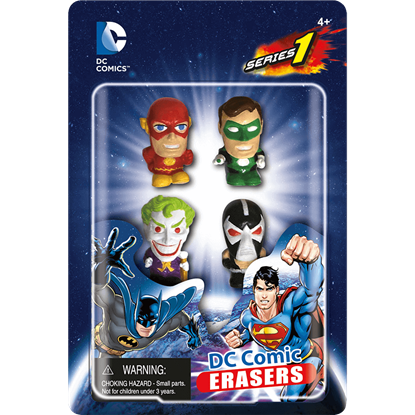 Dress as the infamous archenemy of Batman with the help of this licensed costume based on the hit Arkham video game series. 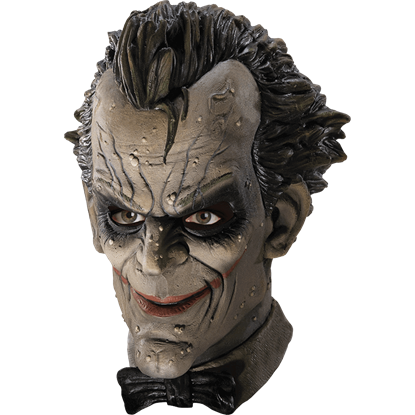 Batman and the Joker will face off once more this Halloween when you wear the Arkham Joker Deluxe Vinyl Mask to dress up as the infamous comic book supervillain. This costume mask is based on the Batman Arkham series of video games. 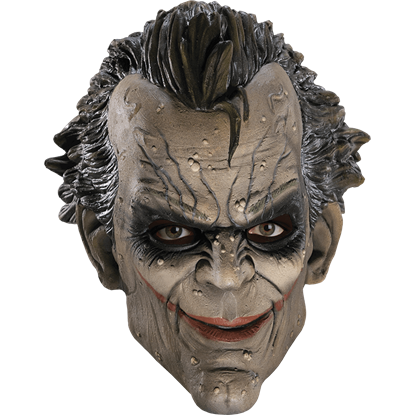 Batman and the Joker will face off once more this Halloween when you wear the Arkham Joker Vinyl Mask to dress up as the infamous comic book supervillain. This costume mask is based on the Batman Arkham series of video games.